For the third consecutive year Egypt is tapping the international debt markets. Last week, the Ministry of Finance announced that Egypt had completed a $4 billion Eurobond issue that had attracted $21.5 billion in bids from 250 investors, closing over five times oversubscribed. What was the composition of the issue? The 10- and 30-year bonds attracted the highest number of bids, Reuters reported. How was the issue received in international markets? According to the Ministry of Finance, demand for Egyptian bonds was higher than previous issues and compared favourably to other countries with a similar credit rating. How do the yields for this issue compare with previous ones? According to research by HC Securities and Investment (HC), a brokerage, last week’s bonds were priced at a higher yield than last year’s Eurobond issue. The higher yields, it told Al-Ahram Weekly, reflected Egypt’s increasing foreign debt, which stood at around $93 billion in September 2018 compared with around $81 billion in September 2017. What will the proceeds of the issue be used for? The proceeds will finance the public budget. While the value of the Eurobonds in hard currency will be deposited with the Central Bank of Egypt to support the international reserves, the equivalent will be transferred to the Finance Ministry. 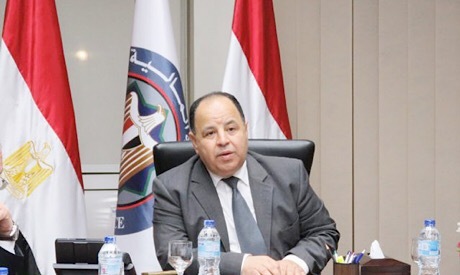 “Egypt uses the net proceeds from its Eurobond issues to finance its fiscal deficit for the relevant fiscal year or for any other purpose set out in the state budget in force on the relevant issue date,” said HC. The Eurobonds help the government to diversify its sources of financing rather than depending on the domestic market, the Ministry of Finance said. The longer-term bonds are a means of ensuring the longer maturity of government debt and reducing the risks of refinancing. When can more issues be expected? According to HC, Egypt is expected to issue more Eurobonds this year worth $3 billion, bringing the total for fiscal year 2018-19 to $7 billion. “These issues fall under Egypt’s $20 billion global medium-term note programme extending to 2022,” HC said. Egypt is also scheduled to issue Eurobonds in Asia in the current fiscal year, where the government is seeking to sell green bonds and debt in an Asian currency, HC said. How do Eurobond issues planned for this year fit in with the new debt-control strategy being developed by the government? The debt-control strategy should set a limit to Egypt’s Eurobond issues at $22 billion until the end of fiscal year 2021-22. Enterprise, an online financial news service, reported that a shift to longer-term debt is a key component of the strategy, which targets a reduction of Egypt’s annual debt servicing to 20 per cent of GDP. Long-term debt should account for around 52 per cent of Egypt’s borrowing by June 2022, it said. The new strategy hopes to lower Egypt’s public debt to 80 to 85 per cent of GDP by the end of 2021-22, a statement from the presidency said. Egypt’s public debt currently stands at 98 per cent of GDP. What is the value of Egyptian Eurobonds to date? Egypt has so far issued $17 billion in Eurobonds, last week’s included. In February and June 2017, it issued $7 billion of Eurobonds, and in February and April 2018 it issued a further $6 billion. What is Egypt’s history in the international bond markets? Egypt first entered the international bond markets in 2001 when it issued $1.5 billion in two tranches, one of which matured in 2006 and the other in 2011. In 2010, Egypt refinanced its maturing Eurobond issue with another dual tranche for a total of $1.5 billion. Of that, $1 billion matures in 2020, while $500 million matures in 2040. In 2015, Egypt issued $1.5 billion in 10-year bonds.